NDCL’s Parent Ambassadors are a group of parents ready to share with you their personal experiences about searching for the right high school. Would you like to speak with a current NDCL parent, but are not sure who to call or email? 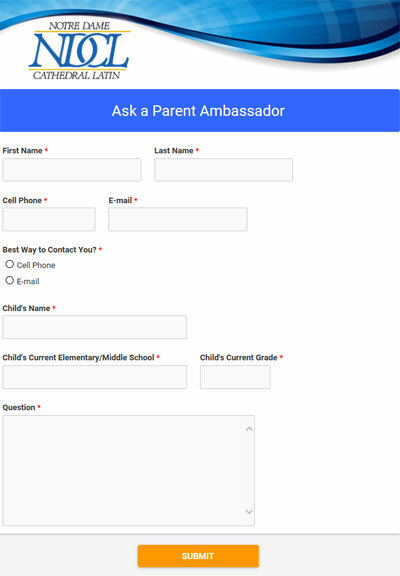 Complete the simple form below by clicking on the image and it will be automatically directed to the NDCL parent ambassador who can best answer your question.